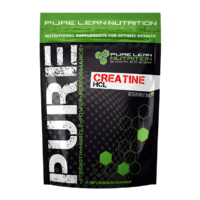 Creatine HCL is an ultra-concentrated form of creatine with enhanced absorption ability and increased plasma up-take by the muscles. 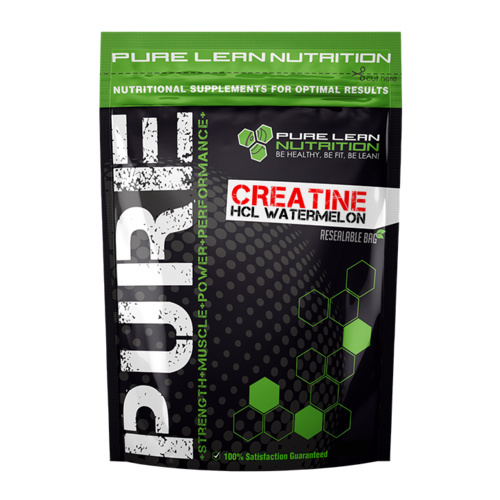 Creatine HCL delivers the same benefits of traditional Creatine, without the bloating or loading phases, as supported by university lab tests. Creatine HCL helps generate ATP, the major source of energy in the muscles. 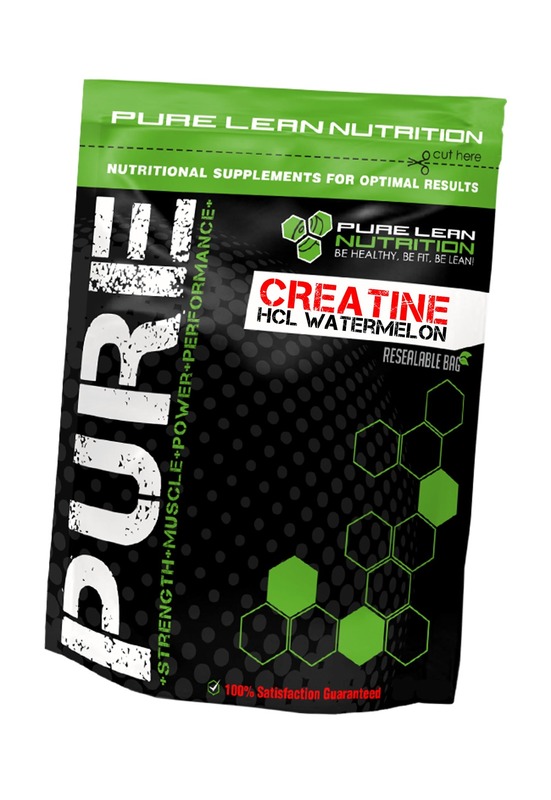 Supplementing with Creatine HCL has been shown to help support increases in strength, power and endurance. 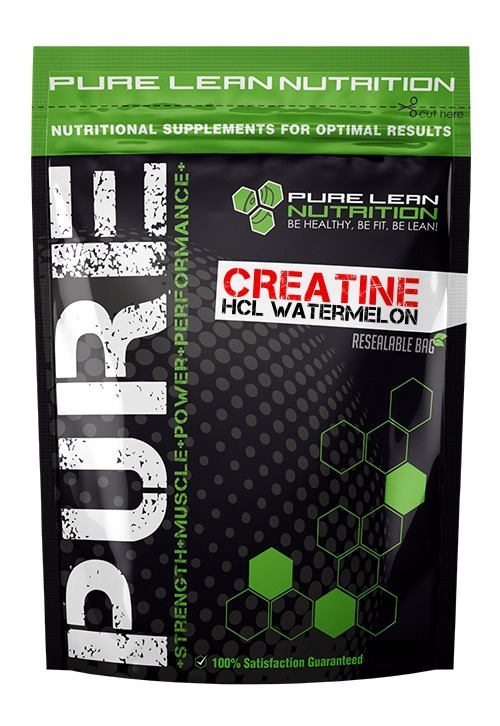 Creatine HCL also helps hydrate muscles by increasing cell volume, and increasing nutrient delivery. 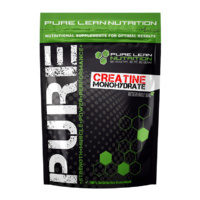 Creatine HCL also doesn't require any loading which the standard Creatine monohydrate does require to be taken in higher doses to be effective. 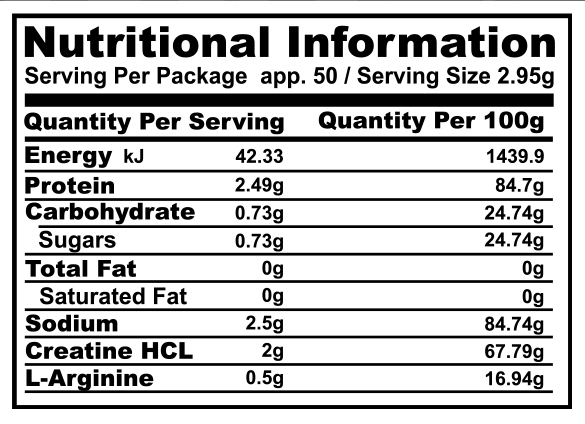 Included is 500mg per serve of L-Arginine for nitric oxide production and endurance. 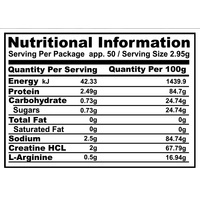 Best Pre Workout Supp Ever! 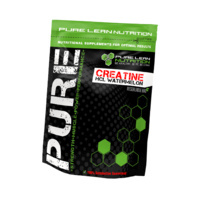 Bursting pumps, ridiculous energy and massive gains are what you will get with this product. 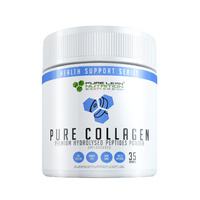 I am a very experienced bodybuilder and competitor and this product really did do all that it advertised for me personally. The one thing I do like about it, is that it doesn't make me sick to my stomach or create that sickeningly jittery feeling. 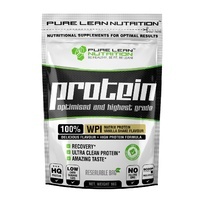 Good product but only as a supplement to hard training and clean diet. Will defiantly try again & use before Mr Australia in the 2017! Heck a lot better than C4 or Jackd3d !